Personalized giant chalk sets will lend authoritative touch to your campaign and make your brand logo shine brighter than ever! Most recipients will try these giant chalk sets over sidewalks, blackboards at classrooms and free surfaces within their homes. 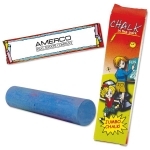 Promotional chalks offered at Promo4kids.com are non-toxic and are perfect to gift on various occasions such as tradeshows, business conventions, school events, school spirit gifts and more. 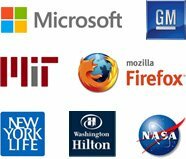 Seal best price deals by ordering from us in bulk. We offer free artwork assistance and free online design proof on all orders. It is a high time to show to your competitors and clients that you have caring and fun side, too! Giant chalks are usually used to doodle or hopscotch on free surfaces as well as driveways. It is sure that your customers will love to scrawl your brand name for everyone to see with these giant chalk sets. You can keep your customers and their kids happy as well as creatively occupied with these promotional chalks. With increasing dependence on video games and technological toys, parents are finding it difficult to stop kids from overindulging in them. They know that these technological toys have adverse effects on personality of kids which may later develop into severe behavioral problems. By giving giant chalk sets, you can encourage kids to come out of their cocoon and express themselves in the classroom, hanging black boards at home or sidewalks. These high quality giant chalks come in pairs and you can select them for your next outdoor promotional event. Our giant chalk sets will help you to destroy competition by leaving strong chalked outlines on the ground or blackboards. Logo printed chalk sets make great giveaways during Back to School events, school spirit events, school spirit fundraiser events, team building events and awards and motivation for best performance events at school or community programs. It doesn't matter whether you have a start up or running a multimillion business, these custom printed chalk sets will serve you efficiently. If you still feel that these promotional chalks will do no good to your business. 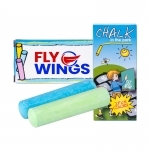 It is time that you reconsider your decision because we have several examples to recount how our customers have benefited from these chalks and other promotional giveaways for kids. Whenever your schedule allows, you can give us a call at our toll free number at 855-454-3786 or write to us at info@promo4kids.com. Our product experts will help you to understand promotional benefits, customization options and several other minute details about these custom printed giant chalk sets. What are you waiting for? 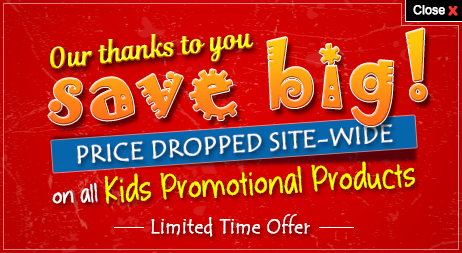 Hurry up before it is too late!